An analysis of the new U.S. farm bill by Patricia Kisare in the latest Third Way Cafe. The farm bill, which Congress is required to reauthorize every five years, is the main instrument through which the U.S. government directs its international food aid programs. Earlier this month, Congress passed a new farm bill, which included two major provisions that will make international food aid programs more efficient. 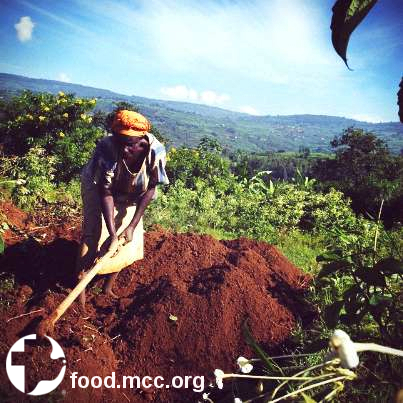 Mennonite Central Committee works with small scale farmers such as Nyiransabimana Seraphine, pictured above, to improve their food production.